The development of digital satellite contribution networks and the need to connect a large number of sites require a professional IRD able to generate the composite MPX signal for FM transmitters and ready for future migration to DAB/DAB+. 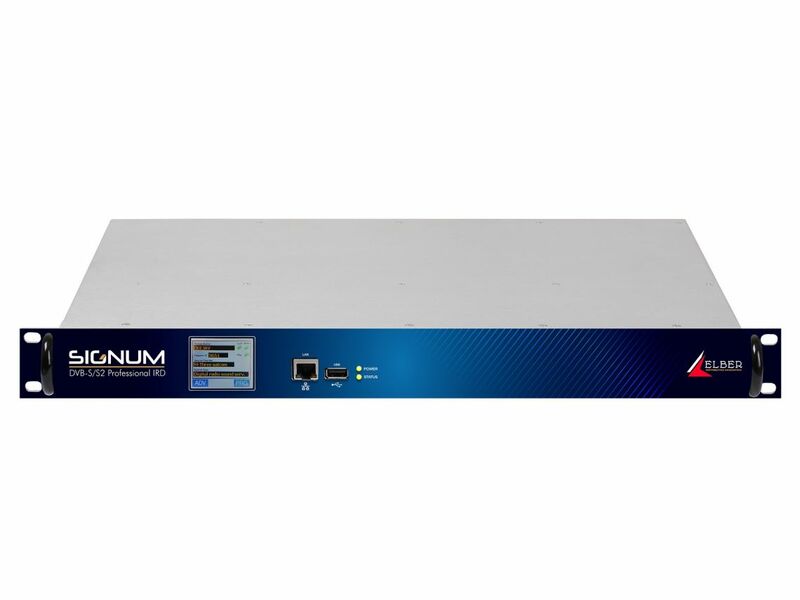 The SIGNUM demodulates one or two DVB-S/ S2 signals up to 32APSK (single/multi-stream), achieving 256 KS/s as minimum symbol rate. The TS demodulated signals can be aligned and configured in 1+1 seamless switching for redundancy. Redundancy can also be achieved with external ASI and TSoIP inputs. Signum supports MPEG-1 LI/II audio codec, providing analog and digital outputs; moreover, it’s possible to set a data PID to be decoded and passed to the internal RDS encoder, generating the dual MPX FM output. For future needs, EDI interface make SIGNUM the ideal product to feed transmitters in DAB/DAB+ environments. BISS 0/1/E descrambling is also supported. The front panel is fitted with a two-inch TFT touchscreen, the Ethernet management port, a USB connector for customer authentication and firmware upgrades. The back panel hosts all I/O connectors either for baseband and RF signals.